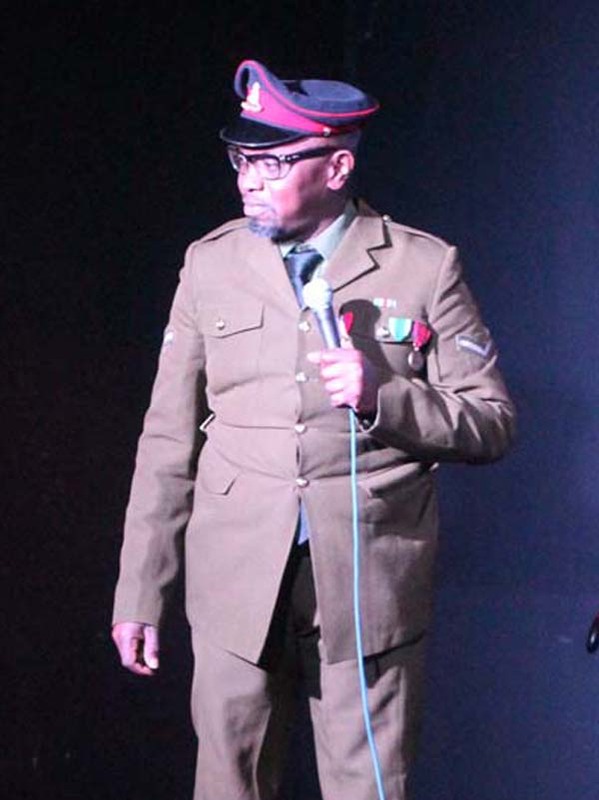 President Obonjo of Lafta Republic has been performing stand-up comedy since 2010. The President is a comedy character, whose set combines political and personal story lines (drawing on his alter ego’s experiences and influences as a British Nigerian), the impact of Social media on his life, and the nonsense of modern life. He is a bit of a charmer in his Field Marshal’s uniform! President Obonjo is a hard-working, reliable, creative comedian - in demand as a high-energy, extrovert, warm and natural act and compere, the perfect act or host for all occasions, from weddings to corporate gigs. Soho Comedy Club, Comedy Cafe, Marlborough Comedy Night, Encore Comedy Club, Comedy Untapped, Piccadilly Comedy Club, Platinum Comedy Club, Comedy Factory, UK Comedy Festival, One Night Stand , Laughing Pod, Lafta Republic Comedy Show, Comedy Store.